Have you ever longed for a deeper family connection, where learning and adventuring together create the life you all want to live? Feb 25 – Mar 10, 2019! Deep in the cultural heart of Ubud in Bali as the sun sets behind terraced rice fields and coconut trees, the sounds of the gamelan fill the air as you admire the intricate textures of the stone and wood carvings around you. Steeped in this ancient culture, with its timeless traditions, in this eden we have chosen (a stunning zero waste, traditional Balinese Resort), you will take your next steps together as a family. Set your compass, create and tell your own story, and learn to embrace the vision for creating the life of your dreams. In the company of your newly made friends, you enjoy a meal of healthy organic foods grown right on the grounds. Later, you soak in the pool, as your children play and laugh together with their new friends. Becoming clearer about the opportunities of realizing a deeper family connection to carry you through your journey of life together, and how to embrace the adventure. Utilizing family travel as a catalyst for growth and personal development. Learning to tune into your intuition so you can be more confident in following your inner wisdom. Crafting your own family’s story and vision for the future to give momentum and focus to your journey. Developing your capacity to handle new challenges and opportunities, increase your emotional resilience, and grow toward the transformation your family has been longing for. Gaining the practical knowledge to thrive sustainably so you can be At Home in the World wherever you are. Imagine letting go of the fears, anxiety, and uncertainty around how to live a happy, meaningful, and sustainable life with your family, and FINALLY getting it all straightened out. Because you don’t have to do this alone. Because you want to deepen the bonds between you and your family and you’re prepared to invest the energies to achieve this. Because you want to enjoy the benefits of a supportive community of families who share empathy and commitment to each other’s journeys. Because by surrounding yourself with other people who are living their truth, you will gain the inspiration and motivation to live your own more fully. Because you want to benefit from the full experience of facilitators who have actively dedicated their lives to living and practicing this vision together with their families. Because you’ll come away with the tools, experience, and resilience needed to inspire and sustain your family journey. Because you want to immerse yourself in the beauty of the island of Bali with all its tantalizing treasures. If this sounds like it would benefit your family as you take the next steps of your journey, we invite you to join us! Ok, I’m in! Sign me up right now. Together, we will experience some of the world’s most beautiful jungles, beaches, and wildlife. Connecting with local stories and experiences, you will be gifted the opportunity to discover a lifestyle inspired by local wisdom. In the local language, the name of the resort we’ve chosen means “medicine from the earth”. 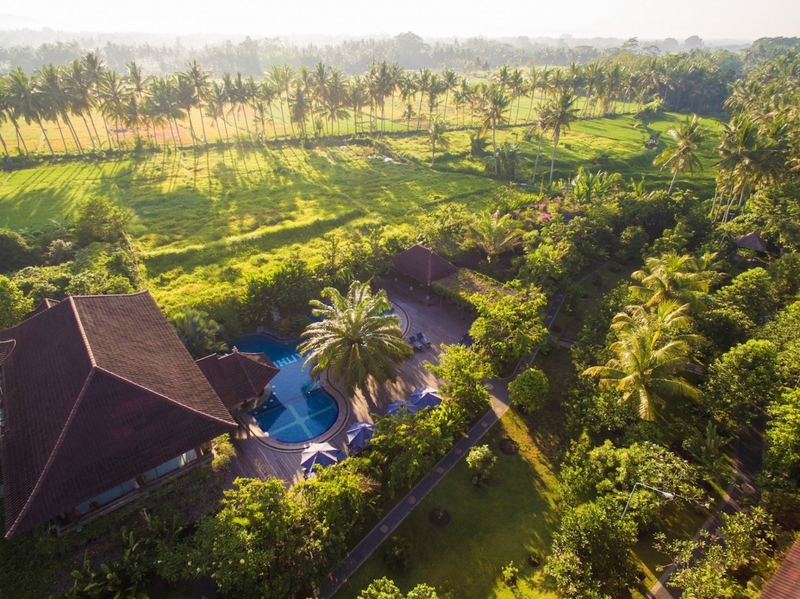 Located in the enchanting Pengosekan region of Ubud, our luxuriously appointed accommodations are surrounded by tropical gardens, green and golden rice fields, palm trees, and the soothing sound of flowing waters, making this location truly unforgettable. …with all the modern comforts and conveniences, including free wifi, air conditioning, refrigerators, and flat screen TVs. With a strong commitment to wellness and respect for the environment and local culture, the resort has an on-site hydroponic and aquaponic garden with fresh fruits, vegetables, and medicinal herbs, from which all our food will be prepared. This is also a zero-waste environment with its own recycling center for greater sustainability and environmental care. As a healthy lifestyle destination, the resort maintains a peaceful atmosphere integrated with nature, in a safe smoke & alcohol-free environment, helping you appreciate nature in a way you have never before while providing you with deepened knowledge, relaxation, and memories that you will continue to cherish forever. We have carefully crafted a menu with a combination of local and international cuisines, utilizing all the benefits of having freshly grown on-site organic fruits and vegetables for your health and well-being. Our menu is designed to energize you and leave your body and mind in a healthful state, while providing a tantalizing and unique culinary dining experience. In this is included vegetarian, vegan, and raw options, along with meat dishes to enliven your senses and enhance your experience. Should you have any specific dietary requirements or concerns, we are more than happy to discuss these with you. 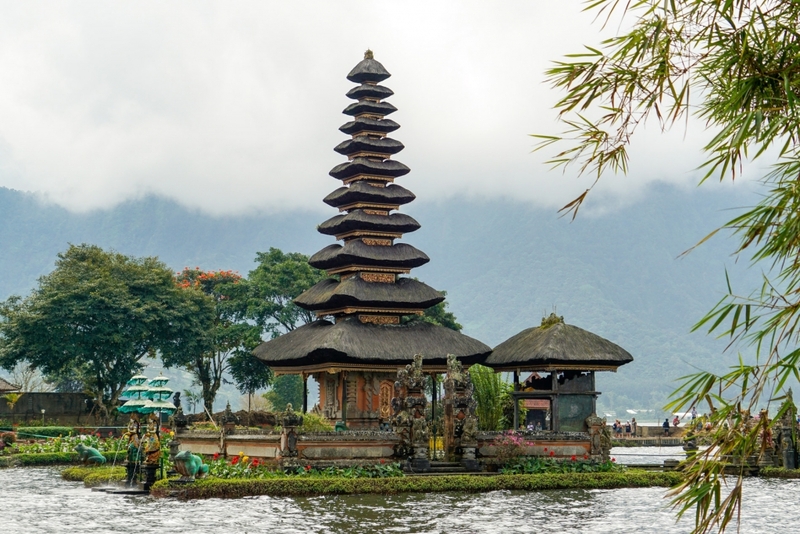 While Indonesia is a Muslim country, the island of Bali is predominantly Hindu. Intermingled with Buddhist, indigenous, and western traditions, this has produced an exotic and beautiful culture found nowhere else in the world. During our time together, we’ll have the opportunity to visit a traditional Balinese village, to learn about the unique Balinese philosophy of housing and family life, and how they choose to live at home in the world. We’ll trek through small paths along rice fields with a guide, interacting with local farmers and learning about the importance of this crop in the Balinese cuisine and ecosystem, and the challenges of being a rice farmer today. We’ll also get to experience a guided walk through the jungle, learning about the plants and their uses, and the animals we will see during the journey. We’ll pass secret Hindu temples located deep in the jungle, cross the mystical Tamblingan lake in wooden canoes, and refresh ourselves at the Munduk waterfall surrounded by lush greenery. And we can’t forget a trip to Ulundanu temple, the most beautiful and iconic temple in Bali, located in the shore of lake Bratan. We’ll also get a chance to witness and participate in several forms of Balinese art, from dance and gamelan music, to handicrafts, and more. Of course, Bali would not be complete without a visit to the Beach. Enjoy as we take in palm-fringed white sand coasts and relax, or feel at one with the flow of the ocean and its immense power, as we learn to body surf the waves. We’ve chosen to hold this retreat over one of the most important and impressive holidays in the Balinese calendar – Nyepi. Each village spends weeks building giant paper maché monsters (ogoh-ogoh), which on this night in March (the Balinese New Year) are paraded around the streets on bamboo poles accompanied by live traditional music. After dark, the monsters are burned, as a symbol of purification. The day that follows is a day of silence and self-reflection. No one is allowed outside, except for the guards patrolling the streets. Even the airport closes! No fire is allowed and electricity use is limited. The story goes that as the evil spirits fly over the island and see no sign of life, they will decide to pass it by, leaving it protected for another year. Partaking in this holiday is a very special part of our experience on this island, and will be an immersive cultural experience you will never forget! 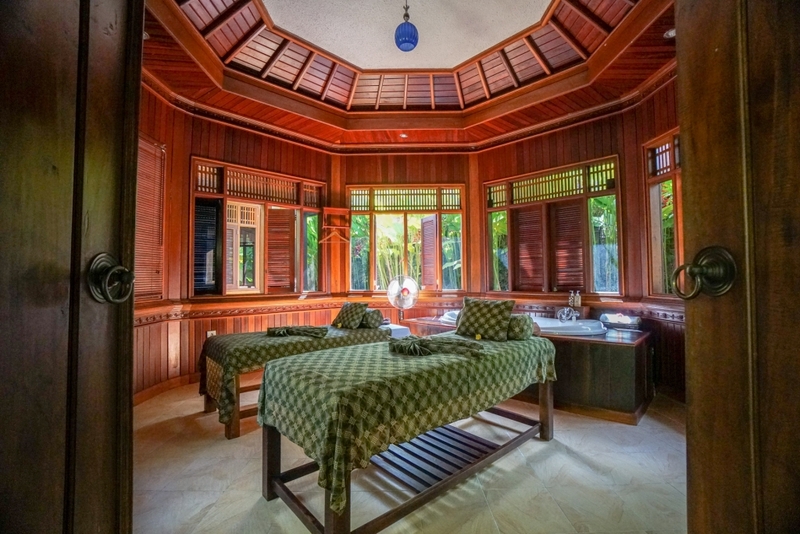 Bali is known for its amazing massages, which we think are the best in the world. Because massage is such an active part of Balinese culture, almost all women know how to give an intuitive and healing massage. Visiting a spa is a must-do when you come to Bali, and with prices between $5-20 USD for an hour, you may want more than one! In addition, we’ll be led in optional wellness practices such as yoga and qigong in the morning, and an opportunity to participate in a healing and rejuvenating family breathwork journey that can take you to new levels of self-understanding. This sounds amazing! Register me please! 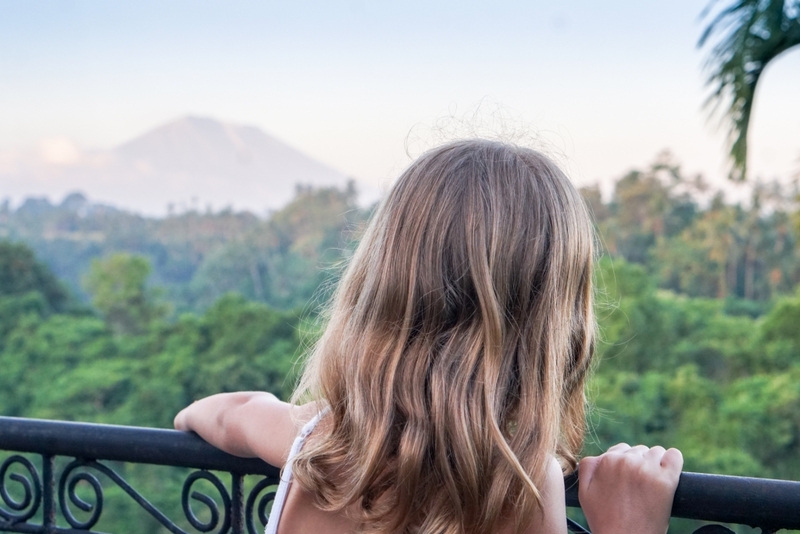 So what can you expect if you spend 12 enriching days (and 13 peaceful nights) learning, exploring, and connecting with your family and new friends on an exotic and transformative adventure to Bali? Well, what if you got the opportunity for a potentially life-transforming experience that would challenge you and your family to create the most fulfilling life you could all live together. And what would it mean to you if you were inspired by those around you, gained the necessary tools, and the connections to bring your vision to reality, deepening the bonds between you and your children on a path of life-long growth and adventure? Would THAT be worth coming to Bali for? We feel that it would be. Please keep in mind: this is a family retreat. We won’t be lecturing to you all day long from the front of the room, where you or the children are bored and mind-numbed. This is an immersive, fully-participatory retreat, mindfully inspired and completely integrated in its learning between adults and children. Here we will discuss and explore together some of the deepest questions about what it means to be a family, and how we can practically create the type of environment that will help us all to live a meaningful and loving life. We have designed and tested our program of learning in a way that it is intentionally meant to take you on a journey from the high-level practical, to the grounded depths of emotional resilience, integrating intuition, story creation, mindfulness practices and the use of breathwork. Our children’s program is also fully integrated to engage and inspire your children so that play, laughter, thoughtfulness and a mindful approach is taken with every activity. 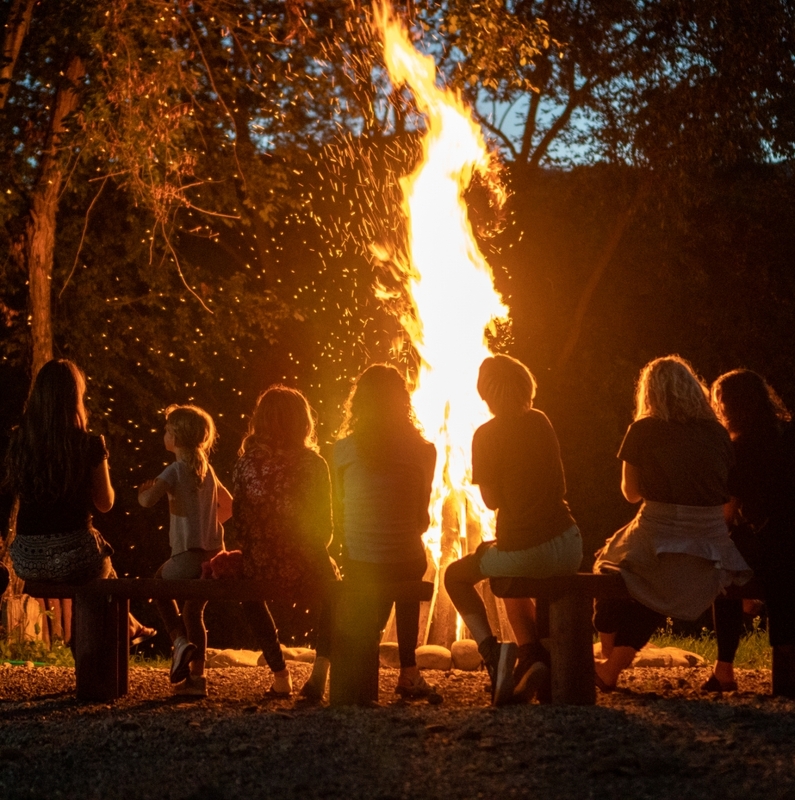 Led by one of the world’s leading children’s mindfulness educators, your children, like you, will leave with new friends, new connections and a yearning desire for more. 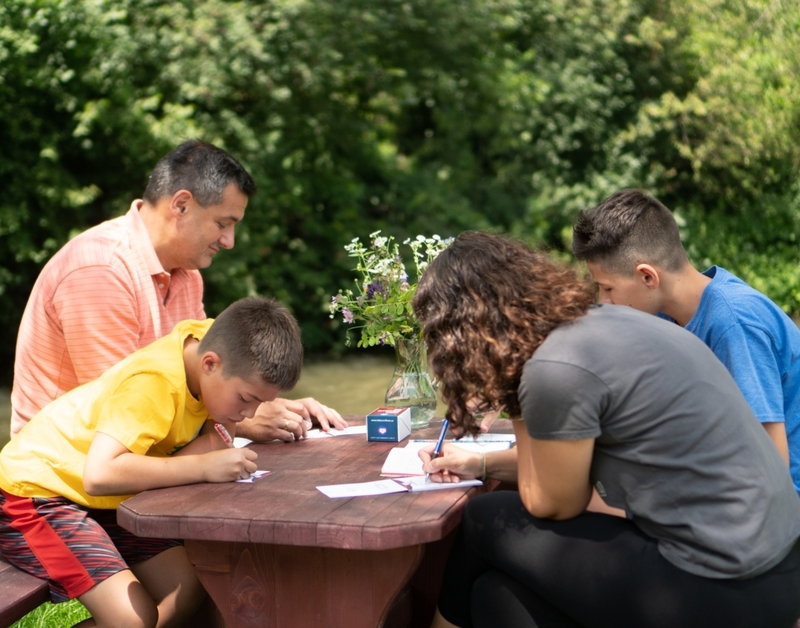 Practicing the art of tuning into your intuition or inner wisdom through a fun family game to help drive your family’s decision-making process. Getting clear on how each member of your family envisions your future and how will you bring together everyone’s needs to create a powerful family story as your road map. How to create heart-led, head inspired location-independent income sources that add meaning to your life, a service to the world, and can fund your dream vision of your family’s life together.. The vital role nutrition and well-being play in our overall family harmony, and how to use practices like yoga, qigong, dreamwork, and breathwork for greater health and vitality. How lifelong, experiential, inspiration-led, in the moment learning can change the way your family see the world and empower your children to see their place in it. Tools and techniques you can use to prevent emotional meltdowns caused by your daily circumstances, family dynamics, and the pressures of life, and how you and your children can recover from them quickly when they do happen. How travel can be used as a transformative experience to learn about the world, its people and how your family can be truly At Home In The World wherever you are. We will continue the journey along with you. It is always our intention to ensure that what you have experienced and what you have learned during the retreat will not be lost when you return to daily life. We are committed to helping facilitate a post-retreat experience for you and your family that is intended to assist you in establishing the ongoing practices necessary for you to realize your dream family life. 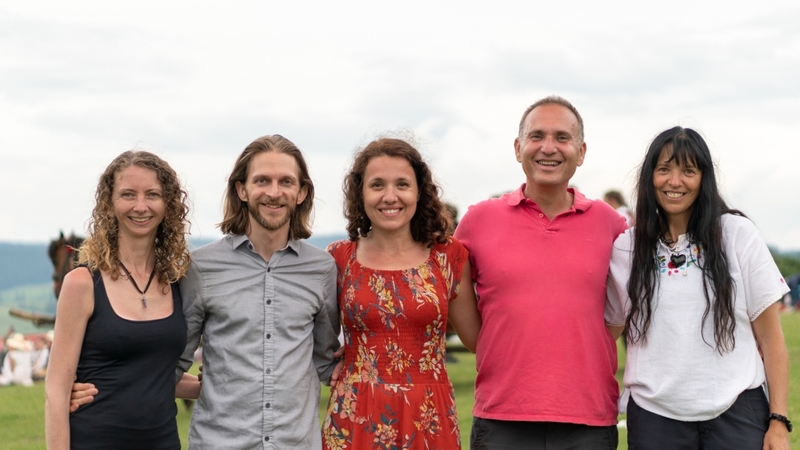 It is our intention to keep active and alive the friendship and connections that you will make, and to support and facilitate the needs of this newly formed community that we trust will naturally develop. We will create the community’s own gathering place for the sharing and development of ideas, the ongoing practice of what we have learned together, the creation of group ventures, group activities, gatherings, and assistance. All of this included in your experience at no extra cost. I’m ready to grow closer to my family. Sign me up! 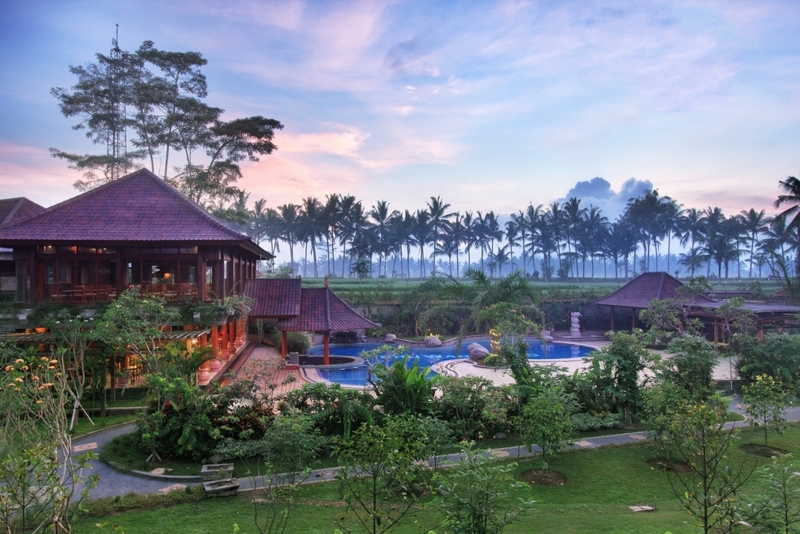 We feel Ubud, Bali is the perfect place to hold this retreat. It’s the cultural heart of Bali, and the longstanding traditions of the people who live here have created a unique way to view family and home, as they live together in community. The Balinese actively practice their culture which has deep roots in the family life and their spiritual beliefs as a way of life. 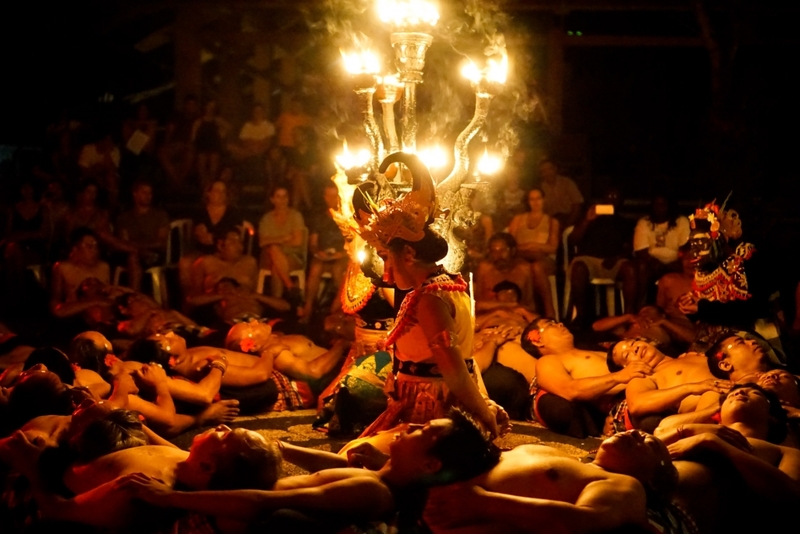 Bali draws many people from around the world open to exploring and living their own inner truth. Ubud means “medicine” in Balinese, and it’s a place many come for healing as well as spiritual and physical transformation. It’s a focal point for healthful, organic, and raw foods, as well as yoga, meditation, qigong, and other healthy ways of living. 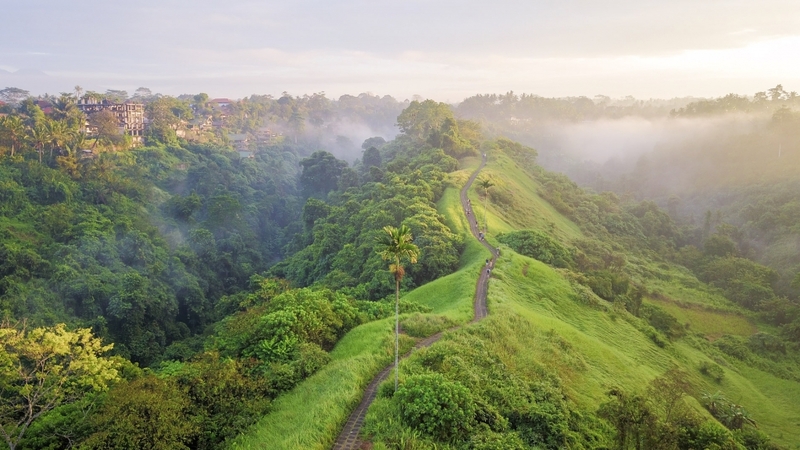 There are also thriving alternative communities in Ubud, that include entrepreneurs, co-working spaces, cryptocurrency groups, and a growing alternative education movement enjoyed by local families and families from around the world. 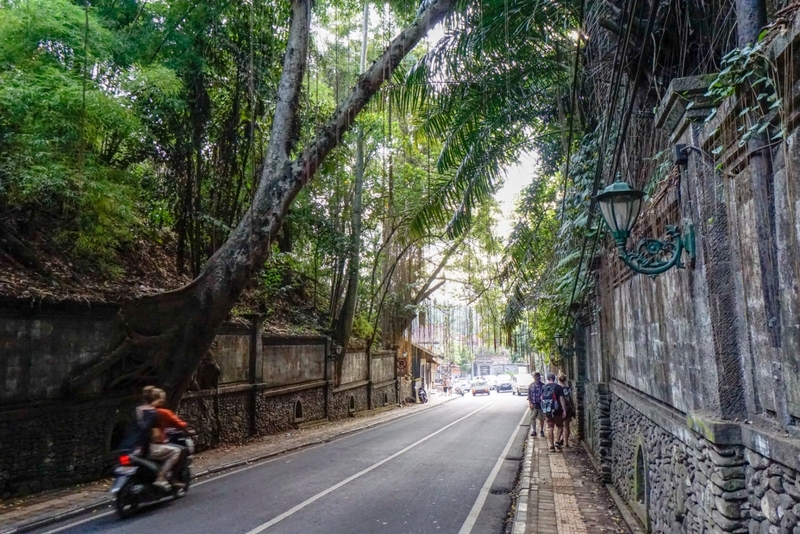 The town of Ubud is green and lush, with tall banyan trees (with hanging vines! ), sweet smelling plumeria flowers, and palm trees lining the streets. Rice fields can be found throughout the city as well as on the outskirts. Most days have an average high temperature of around 27 degrees celsius (80 fahrenheit). The impact of tourism has been growing in Ubud, and there are now several streets with boutique shops and a few chain stores as well. However there are many people from overseas who regularly live in Bali who work with local initiatives to create a more sustainable and integrative approach to the environment. Surprising for a town of its size, you can find hundreds of restaurants with food from around the world, many with a focus on healthy, vegetarian, vegan, organic, local, or raw food and drinks, and at relatively low prices. The official language of Indonesia is Bahasa Indonesia, and this is also the main language of Bali. However, the Balinese also speak Balinese among family and friends. English is widely spoken by those who interact with tourists, and it is easy to communicate with the locals. I can’t wait! Let’s do it! All transformative and interactive mindfulness inspired learning sessions, roundtables, panels, discussion groups, conversions, and introspective activities necessary for your family’s transformation. This is the entire learning program with some of the most innovative and integrated activities and approaches to learning and mindfulness practice, with ample opportunity for personal reflection and integration. The entire children’s program has been carefully designed for all age groups. Mindfully integrated with the adult program of learning, it is intended to converge with and complement all the adult sessions. Your own personal family co-facilitator, who will be assigned to your family throughout the course of the retreat to ensure that your family’s experience is an exceptional one. 13 delicious, local, and organic buffet breakfasts with an array of healthful options and choices. Ample time reserved specifically for introspection, integration, discussion, massages, etc. Transportation from the resort to the airport Mar 10. One optional dinner and formal lunches are not included. This is intended to give you an opportunity to try some of our favorite local restaurants, as well as not overindulging, which may affect your retreat experience. Healthful snacks during the day will be provided. Souvenirs, phone calls, extra spa services, extra taxi services, tips, etc. You must arrive into the Denpasar (DPS) airport on February 25th, and depart the resort on March 10th after breakfast. We’ll have two airport pick-ups for the group arriving on February 25th – at 12pm and 4pm. If you are not arriving in time to be on those transports we can help you arrange your own taxi to the hotel (at your cost of approximately $25 USD). 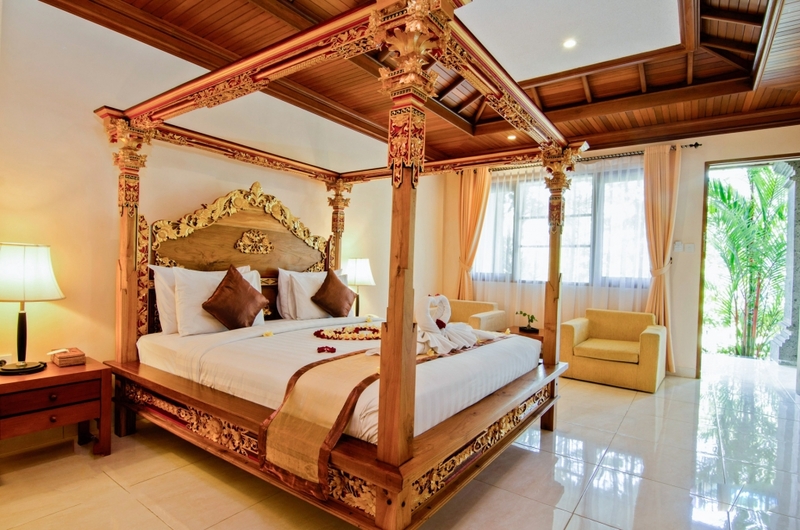 If you are deciding to stay on longer in Bali, you will have to make your own way to your onwards accommodations. If you want to come earlier or stay later for some exploring – contact Lalika Kaponay at DestinatorTravel.com, our travel planner concierge. He can help you design a fabulous itinerary and ensure the most cost-effective routes and accommodations during your stay. After dozens of countries and a growing number of years of long-term family travel, the Pearce and Kaponay families have come together to create At Home In The World Family Retreats. This was from a deep desire to share what they had learned and what they continue to live by being at home in the world wherever they are. This is the essence of the At Home In The World Retreat. It is coming to the understanding that being truly at home, wherever you are, or however you live your life, is being at home with yourself and at one with your family. 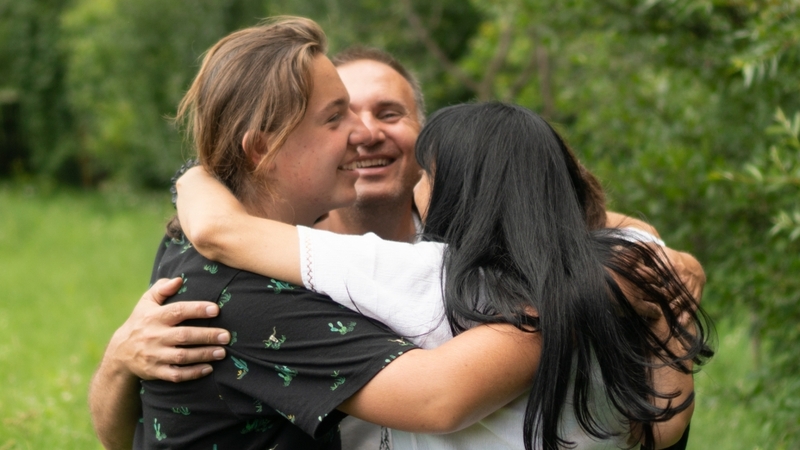 Along this journey, they have been joined by Jelena Popovic, qualified and highly awarded psychologist and one of the world’s leading children’s mindfulness educators, to join their strengths and combine their intentions to create an integrative and immersive family retreat like no other today. Leaving nothing off the table, they bring the full force of their journeys and life experiences to offer your family something exceptional. Brandon Pearce is the founder of a literal “4-hour workweek” business (Music Teacher’s Helper) that has funded his family’s continual travel lifestyle. He lives an example of how work and family commitments can be balanced in their approach and contribute lovingly to your family’s journey. Jennifer Pearce is a certified high-performance coach who actively works to inspire others, young and old, to fully live their desired life. Together they are founders of the Family Adventure Summit (FAS), a multi-day event held in a different exciting location each year. It’s the world’s leading conference for families interested in long-term travel, location independence, alternative forms of learning, entrepreneurial family ventures, relationships, and community. 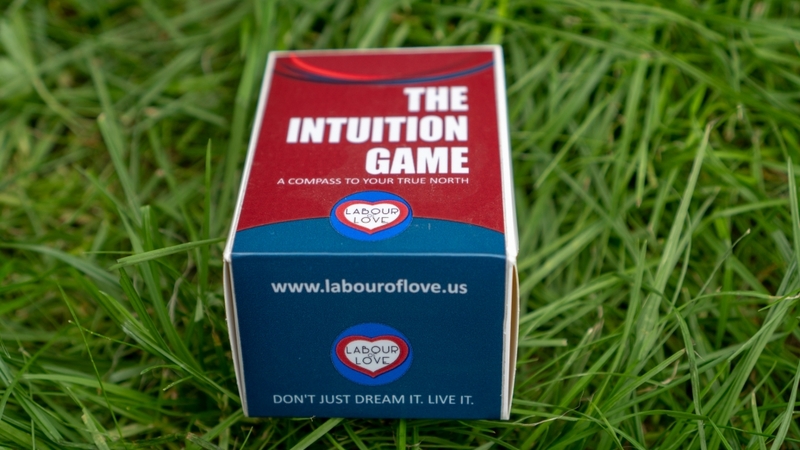 George & Bobi Kaponay are the inventors of The Intuition Game and the Labour of Love Process, intended to bring your life’s / family’s story or venture to fruition, with the clarity, direction process and the effort and inspiration needed to see it through. Their combined family stories over time are reflected in the echoes of the journeys they have taken, the lives they have touched, and the way they live intentionally. This has inspired their teenage children to add their own unique contributions to their family stories. Réka Kaponay, the 17-year old daughter of George and Bobi is a successful internationally published author and Story-Teller, with followers in over 100 countries. Their son Lalika also 17, is the founder of his own Travel Concierge Business DestinatorTravel.com, and Emily Pearce, 14, is the founder of her own professional video editing studio Crystal Cut Studios. Altogether, they sincerely live their story and what it means to be At Home In The World. They have a strong desire to share this with your family, so that by being at home with yourself and your family, your unique and valuable contribution to yourself and the world can be fully realized, experienced and lived. I want to go to Bali – sign me up! Sign up here for info on what you can expect to receive.